Bryan and Holly dive deep into the original behind the scenes documentary for The Phantom Menace, The Beginning. They talk about favorite moments, what it taught them, and what it's like looking back on Phantom Menace and its making after more than 20 years. 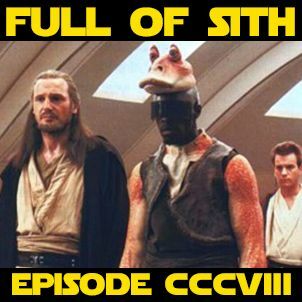 If you haven’t already, join our new Facebook group and join in the discussions with us and other listeners at – http://facebook.com/groups/FullofSith If you like the show, please leave us iTunes/Stitcher reviews and share us with ... Más informaciones your friends and family! We’d greatly appreciate it.